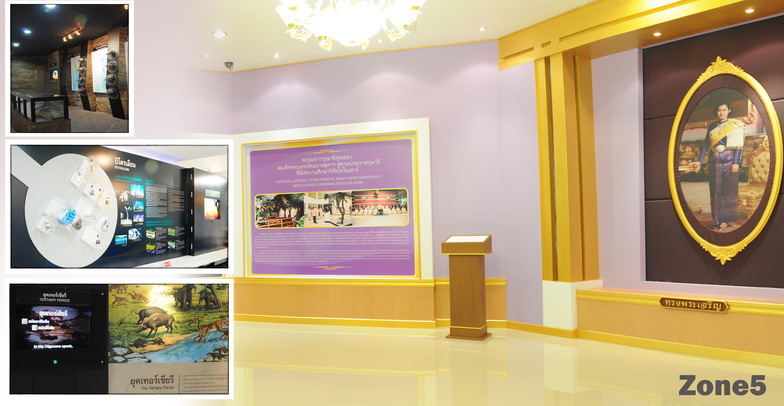 Research Center and Phu Wiang Museum. 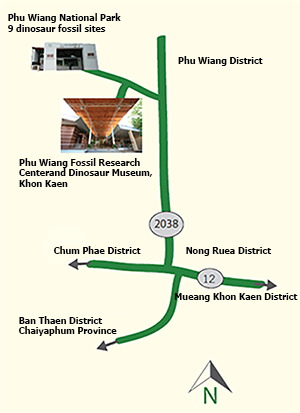 The visitors can begin to travel from Chumpae district to Khon Kaen province turn left to join highway no.2038 until passing Phu Wiang district and select the road to Phu Wiang National Park and the museum is just 3 kilometres before the Phu Wiang National Park. 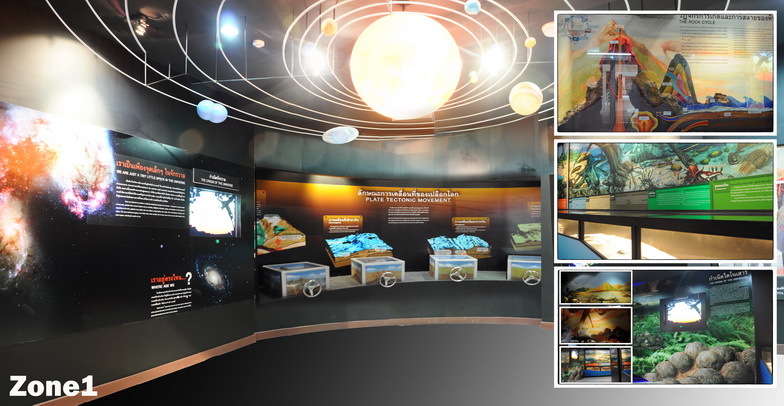 The visitors can see the dinosaur evolution and extinction in the 65 million years ago due to the meteorite crash to the Earth. The damage from the crash is the reason behind the dinosaur era end. The visitors can see the laboratory and collections room through the glass wall in the third zone. 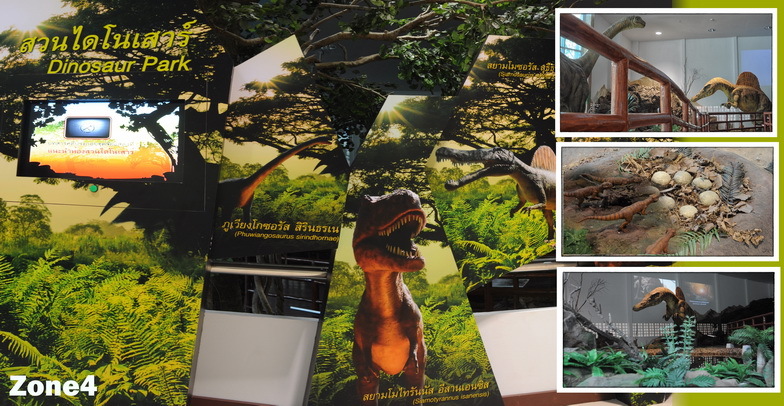 The fossils found in Khon Kaen also displayed in this zone. 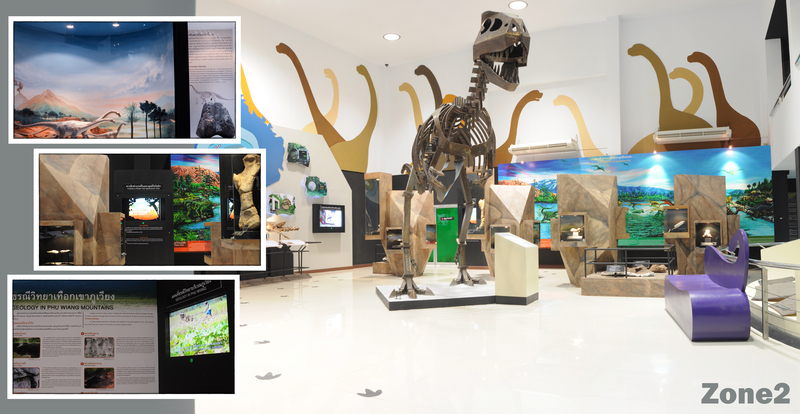 Dedicates to dinosaur park with real-size dinosaur models that can make noise in the Jurassic paleo-environments. 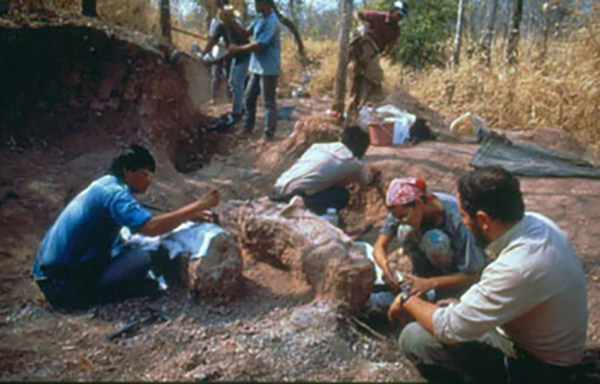 Mr. Sudham Yaemniyom, the former geologist of the Department of Mineral Resources accidently found dinosaur fossils at Phu Wiang National Park during the uranium exploration in 1976. The found fossils are similar to the Sauropods, herbivorous dinosaur with 15 metres length. The group identified the fossils as huge herbivorous dinosaur bones and scale of ancient fishes. This brings to consequence discoveries of various kinds of dinosaur bones. 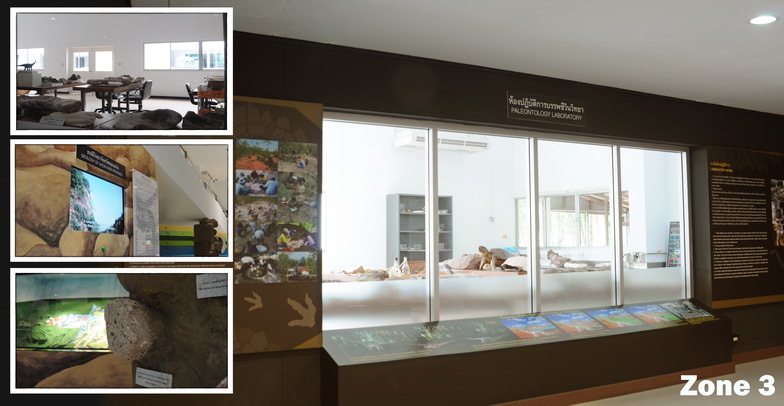 The Museum is established as the fossil education and research center under the cooperation of the Department of Mineral Resources, the Tourism Authority of Thailand, and Khon Kaen province. except on Monday falls on a public holiday.